As we sat on the shores of the Bay of Arcachon sipping rosé and eating oysters, we couldn’t help but see the giant sand dune that took a commanding position on the other side. On the western side of the bay, small towns like L’Herbe and Cap Ferret lure visitors wanting a taste of the slow life. Retirees have secured their own piece of paradise here, building modern houses nestled in amongst the pine trees. During September, day-trippers come from nearby areas, especially Bordeaux, thankful for a slice of beachside that is only an hour away. 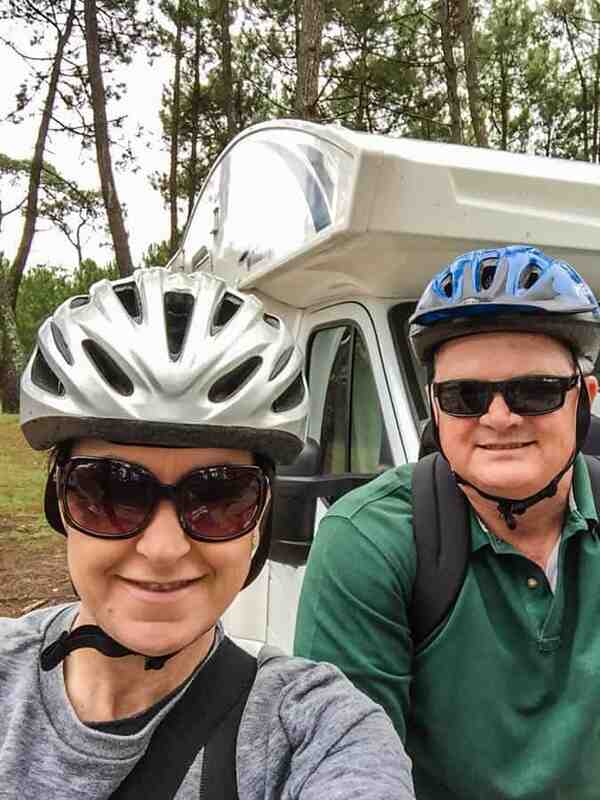 With nothing but time on our side, we decided that a visit to Arcachon and the Dune du Pilat was a must. After parking up our motorhome at an aire at Lège further back up the Cap Ferret Peninsula, we drove around the bay, taking only an hour to reach Arcachon. A beach facing town, it was developed into a seaside resort during the mid-1800s. When compared with the small towns across the bay, the buildings and style of architecture here are significantly different. The houses and hotels that line the coastal promenade were built to draw attention and the wealthy. Many were built in a Victorian style, with slate roofing, bay windows, wrought iron balustrades and fireplaces. In Arcachon, this particular style of building houses and villas was termed Arcachonnaise. In the centre of the town where shops and apartments dominate, the architecture becomes a little more modern and mostly uninspiring. The town is divided up into quarters which are uniquely named after the seasons. The main area, Ville d’été, or Summer town, is the main area frequented by visitors to Arcachon. This is where the big hotels with their beach facing bars dominate the promenade. There’s plenty of activity here as the calm water commands everyone’s attention. Dogs are walked, children play on the sand, alfresco lunches are had and fishermen bring their catch of the day onto dry land. 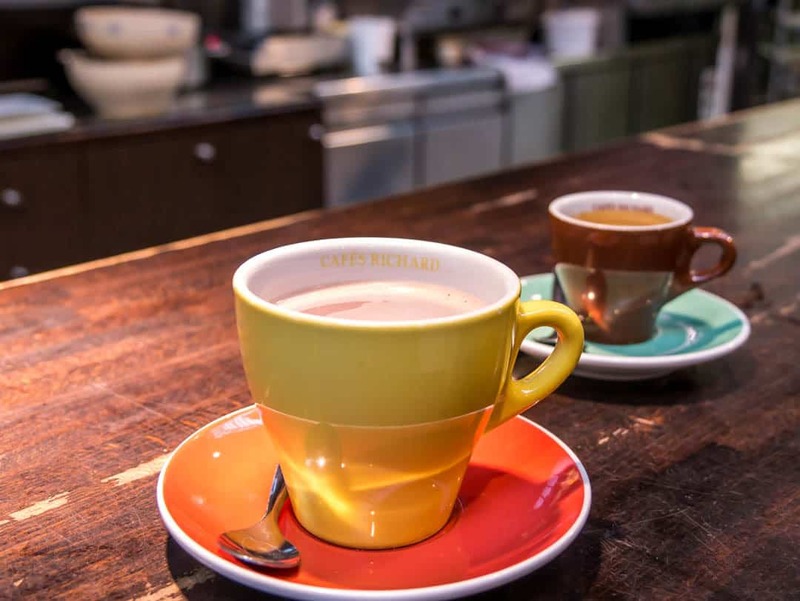 Immediately behind the line of hotels, boutiques sell resort clothing and high-end labels and the gourmet providores shop takes up more than enough of our time as we survey the local goodies. 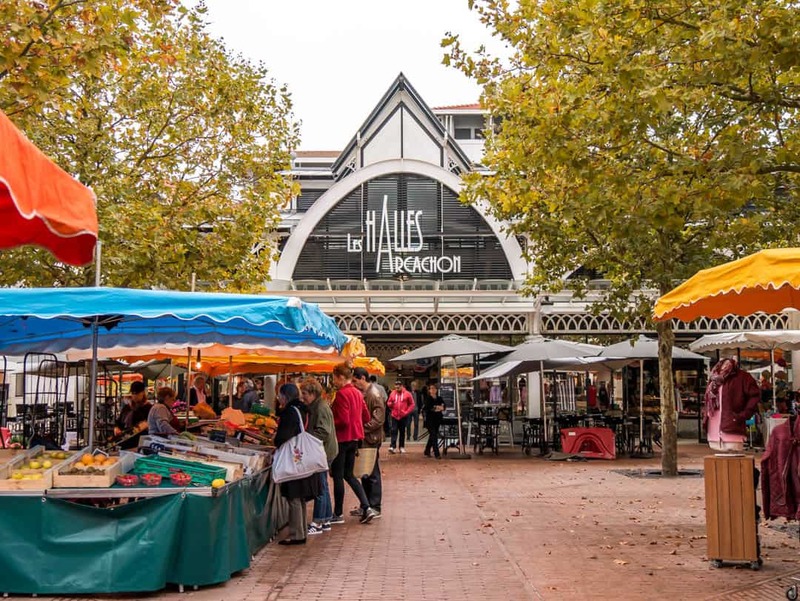 The Les Halles Arcachon, the local market hall is located in the centre of the main square and is a fabulous place to spend some time. The Les Halles markets in French towns are always beautiful buildings, so even if you aren’t interested in the food, it’s still worth a look. Arcachon isn’t a big town, and there isn’t a whole lot to do outside of walking around or going for a boat tour out on the bay. It’s a place where people have been coming for years to relax and unwind by the beach or for medical convalescing. In days gone by, the waters of the bay were said to contain special healing qualities. We enjoyed taking the bike ride through some of the other areas like the Ville d’hiver, or Winter town. Throughout these parts, the houses turned into mansions, and grand villas almost bordering on being called mini-chateaux. Turrets in true Rapunzel style were common features as were steep roofs and immaculately kept gardens. These were clearly the homes of the well-heeled. There are several beaches in Arcachon, the main one being Plage d’Arcachon, located in the centre of the main town, bordered by the Thiers and d’Eyrac piers. This is where you will find the majority of the hotels and major eating establishments and bars. This is the best place to swim due to the calm waters. Further along, three kilometres of beach is followed closely by the promenade, where you’ll find walkers and bike riders aplenty. Arcachon, like many small French towns, is not easy to park in. Our best tip is to head to the aire, just outside the town, where you can park for free and stay overnight also. The spots do fill up fast so try to get there early. We then just rode our bikes into the town, just short of five kilometres away. 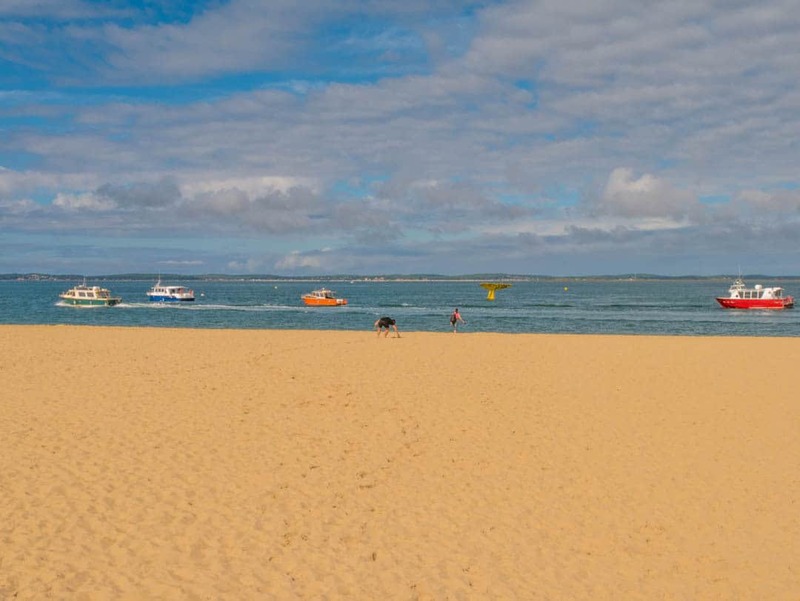 If you are based in Arcachon, you’d be mad to miss a visit to the Cap Ferret Peninsula. Ferries run daily, departing from the Thiers Pier to Belisaire across the bay. Kayaks, sailboats, surfing are all favoured activities here given the easy access to the water and the absence of rough seas. There are bike paths and walkways that offer a great opportunity to get to know the area a little more slowly. The city streets are reasonably quiet and easily accessible by bike also. This was the principal reason for us coming to Arcachon and should definitely not be missed. The Dune du Pilat sand dune is the tallest in Europe. There’s no end to the supply of places to eat along the waterfront but be warned that these are set up for the tourist crowd who are looking for a quick and convenient place to eat. The food may not always be top-notch here and of course, the prices are going to be inflated. Still, it’s nice to be able to eat in such a stunning location. Take the time to walk around, check out the menus that are all on display out the front, and see if you can take a peek at what others are eating. We couldn’t think of anything better than buying the bits and pieces we needed for a fabulous lunch from Les Halles. Cafe Richard inside the Les Halles market also provides a good coffee, hot chocolate and croissant, with the added benefit of the market ambience. 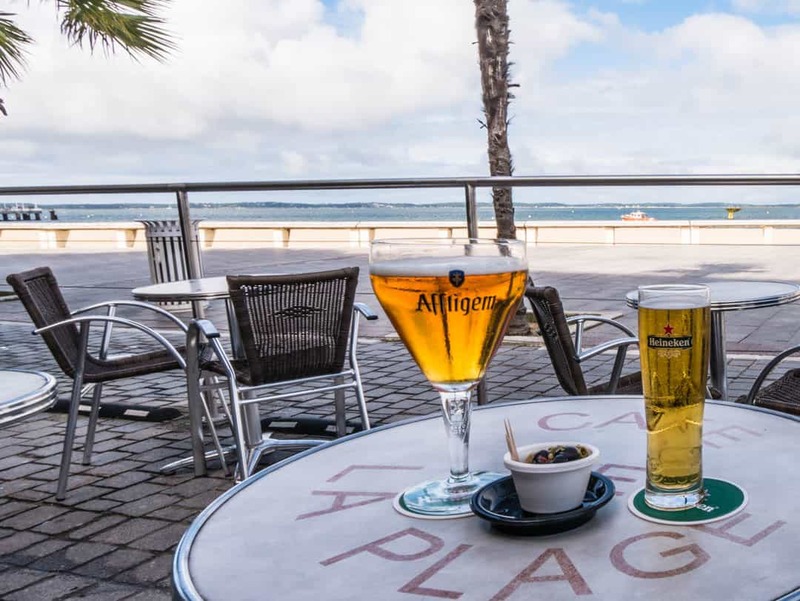 Cafe de la Plage, located at the start of the promenade near the marina, offers up a good view and cold beer after a big day of touring through the town. Arcachon is located approximately 65km south-south-west of Bordeaux, with direct access to the Bay of Biscay. Trains run regularly to and from Bordeaux, the closest major city. The train station is also easy to access from the town. The ferry also travels to and from the Cap Ferret Peninsula. Having a vehicle makes getting to Arcachon the easiest of all.